May 2015 is a Seller's market! The number of for sale listings was down 15.2% from one year earlier and up 15.3% from the previous month. The number of sold listings increased 3.4% year over year and increased 4.3% month over month. The number of under contract listings was up 12.2% compared to the previous month and up 14.7% compared to the previous year. The Months of Inventory based on Closed Sales is 1.8, down 14% from the previous year. The Average Sold Price per Square Footage was up 7.1% compared to the previous month and up 10.4% compared to last year. The Median Sold Price decreased by 0.2% from last month. The Average Sold Price also increased by 9.1% from last month. Based on the 6 month trend, the Average Sold Price trend is "Appreciating" and the Median Sold Price trend is "Neutral". The Average Days on Market showed a neutral trend, was the same compared to the previous year. The ratio of Sold Price vs. Original List Price is 99%, an increase of 1% compared to the previous year. Property Sales (Sold) May property sales were 821, up 3.4% from 794 in May of 2014 and 4.3% higher than the 787 sales last month. Current Inventory (For Sale) Versus last year, the total number of homes available this month is lower by 258 units of 15.2%. This year's smaller inventory means that buyers who waited to buy may have smaller selection to choose from. The number of current inventory is up 15.3% compared to the previous month. Property Under Contract (Pended) There was an increase of 12.2% in the pended properties in May, with 1064 properties versus 948 last month. This month's pended property sales were 14.7% higher than at this time last year. The Average Sold Price per Square Footage is a great indicator for the direction of property values. Since Median Sold Price and Average Sold Price can be impacted by the 'mix' of high or low end properties in the market, the Average Sold Price per Square Footage is a more normalized indicator on the direction of property values. The May 2015 Average Sold Price per Square Footage of $304.7 was up 7.1% from $284.4 last month and up 10.4% from $276.1 in May of last year. The average Days on Market (DOM) shows how many days the average property is on the market before it sells. An upward trend in DOM trends to indicate a move towards more of a Buyer’s market, a downward trend indicates a move towards more of a Seller’s market. The DOM for May 2015 was 37, up 27.6% from 29 days last month and the same as in May of last year. The Sold Price vs. Original List Price reveals the average amount that sellers are agreeing to come down from their original list price. The lower the ratio is below 100% the more of a Buyer’s market exists, a ratio at or above 100% indicates more of a Seller’s market. This month Sold Price vs. Original List Price of 99% is down 1% % from last month and up from 1% % in May of last year. The Average For Sale Price in May was $1,133,000, up 7.6% from $1,053,000 in May of 2014 and the same as last month. The Average Sold Price in May was $825,000, up 11.8% from $738,000 in May of 2014 and up 9.1% from $756,000 last month. The May 2015 Months of Inventory based on Closed Sales of 1.8 was decreased by 14% compared to last year and up 12.6% compared to last month. May 2015 is Seller's market. The May 2015 Months of Inventory based on Pended Sales of 1.4 was decreased by 21.9% compared to last year and up 7.6% compared to last month. May 2015 is Seller's market. The May 2015 Absorption Rate based on Closed Sales of 57.1 was increased by 22% compared to last year and down 9.5% compared to last month. The May 2015 Absorption Rate based on Pended Sales of 73.9 was increased by 35.1% compared to last year and down 2.8% compared to last month. A Broker Price Opinion is an Opinion of Value for a property, " done by a local real estate professional or any other qualified company or real estate agent. BPOs are less expensive and are used to give an indication of the fair market value of a property.When providing the price opinion, brokers will consider the value of similar surrounding properties, sales trends prevalent in the adjacent neighborhood and any costs incurred in preparing the property for sale during a short sale or foreclosure. Although BPOs serve the same purpose as appraisals, the main difference is that appraisals are done by licensed appraisers and lead to a deeper analysis of the property. They are hence costly and more time consuming. Banks prefer BPOs for their lower cost and faster results. Exterior and Interior conditions of the property – Most BPOs evaluate the exterior conditions of the property and then file a report. A thorough BPO report should also contain interior evaluations with specific attention to detail needed to capture any defects. Photos and historical data must also be collected to advise the final estimate. Comparing with similar Properties – A BPO report should include comparison data for at least three similar properties currently on ale in the same market and three other properties that have been recently sold typically in the last 3 months.These properties should be located within a 1 mile radius of the subject property. Above Ground Living Area (AGLA) should be approximately +/-10% of the property under evaluation. This is mainly because finished basements are evaluated with lower weighting factor compared to property with an above ground living area. Neighborhood Data – the BPO report should include the neighborhood statistics, useful to banks in giving a better understanding of what the market situation is currently.These conditions can point into a declining market or a stable one. Repairs Sheet- the real estate agent should provide an estimate of what it would cost to repair any damages to the house. Value Estimate – By basing values on recent sales of comparable property, the real estate agent will provide a 'quick sale' estimates of what the property can fetch in 90-120 days in the market. In case you need a broker price opinion agent in the Seattle/Eastside area, contact Hamid. Clients who contact him before end of the month qualify for free CMA. Buying a new home is a huge commitment that requires careful planning and a good understanding of what the market is offering. It is usually advisable to hire the services of a real estate agent. Either way, here are some tips that you can use to navigate the complex yet very rewarding real estate market. Close Quickly – Because of the Builders financial commitments and plan to move to the next building site, they can offer you very favorable terms just to get the home off their books. Is such s situation, you can use the leverage of concluding the deal on favorable terms for both parties and having an easier deal on your part. 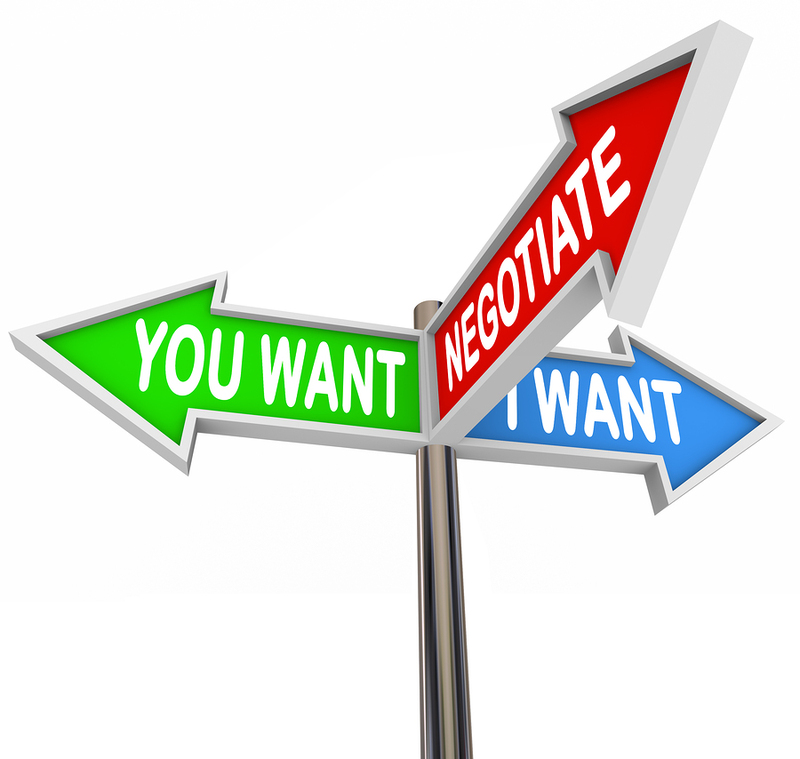 Negotiate on Terms That Don’t Change The Price – Because you will probably buy your house on mortgage. You can ask the seller to expect specific payment schemes and a tailor made interest rate that is easier for you in the long term and allows you to maneuver in case you come across financial difficulty. Builders Won't Want to Lower Their Sales Price – Builders sell a lot of homes in a particular area. If they give you a discount, you will probably share that with your friends who also want t buy in the area. The net result of this act of generosity is that the builder gets a huge hit for their bottom lines. That is the main reason that builders don’t offer one time discounts. You can Avoid the Agents at the Sales Center – These are usually inflexible in their terms because they don't make the decision. These salespeople also make commissions from the builder unlike the builder whose main interest is to offload the house. Avoiding them is a good idea when you can. Review the Builder’s Sales Contract – In particular, you are interested to sign a contract that in most cases absolves the buyer of any obligations in case you have problems sometimes linked to their construction work. Remember you don't want to get stuck with a house that does not get the after sales service that is required for it at least for a specific period in the initial time of ownership.This is where a real estate agent can come in handy, ensuring that your contract provides you with the basics for any house owner in the industry. In case you are looking to buy a new home in the Eastside, WA, please contact Hamid on the email and telephone contacts provided. Given the nature of a condominium, mortgage lenders may have a stricter guideline when advancing credit to you. A condominium is an apartment that the owner owns as opposed to renting. Commonly, a condominium owner still shares the amenities in the apartment building with other owners but is legally entitled to their apartment. It is important to understand the regulations that lenders have before looking for a mortgage for the condo.This is important especially if you plan to resell the condo as potential buyers will want to understand the loan condition of the condo. In case you want some help on this you can contact a mortgage loan administrator for specific guidelines for particular mortgage products. Ensure the Condo Federal Housing Administration Approved – Federal Housing Administration (FHA) loans are frequently being used right now by borrowers with less down payment money available.Ensuring that the condo is FHA loan approved allows you to use the loan service when buying or for any potential buyers to use the service when you resell. Beware of Building Rental Limits – Simply put, can you move out and rent the condo to someone else? This is vital for two reasons, in case you already have a house and want to use the condo as an extra source of income then it should not have rental limits and two, in case you resell, you potential buyers may be turned off by rental limit clauses.However, the bank may not see it this way and would rather extend a loan to an owner’s only condo. Check for Pending/Active Litigation – Condos that have open cases in court will not attract any mortgages. this is because the case can result in change of ownership of the complex. Because case can take years to complete, you are better off looking elsewhere in case you are in a hurry or don't mind something else.Also be careful in case the condo oeners are considering possible litigation. Check for the Rate of Defaulters– Some mortgage institutions have tight regulations or the number of adjacent condo owners that can be ion default in the complex at any particular time to their Home Owners Association (HOA) dues. Reviewing HOA documentation is a good precaution against this. Go Through the Reserve Study and HOA Future Repair Funds – Condos are annually checked for the lifespan of the various installed systems and the expected costs for repair matched against the HOA funds reserved for this purpose,. In case the reserves are low, mortgage lenders may not advance you a mortgage. You must also ensure that the HOA reserves for the condo you are planing to buy are adequate to avoid rejection by a mortgage lender. In case you are in the market to buy or sell a condo in Eastside, WA, please contact Hamid for assistance and consultation on the email and telephone number provided. Congratulations for moving into your new home. Moving can be a tiring period of frantic work and readjustment. As you settle down, we have compiled a checklist that you can use to ensure you get up to speed in your new home with ease. The Utilities- Confirm that your utility accounts are active and registered to you. This is important so that you get your bills on time and avoid embarrassing service disruptions. Sometimes, all you need is to confirm with your real estate agent that these accounts are set up.Typical accounts include the garbage collection, piped gas, electricity, water and sewer. In case you need to open your account, remember to give the correct details. You can also check if the home security system is on and the account activated. Get New Locks– To be sure that you are the only people with access to your home, it's a advisable that you change the locks in your new home,. This is easy to overlook, but can be a vital step in securing your home and loved ones. You can schedule a locksmith to visit and replace the locks and get some extra keys for everybody while you are at it. Clean Up – In case the real estate agent did not meet your standards of cleanliness, that may be the next step of action.You can schedule a thorough clean up that includes cleaning furniture and the subsequent a rearrangement of your home. Perfect Time for a Paint Job – while most rooms are unoccupied, you should have each room painted to reflect your color preferences. This is also easy because you can paint the house based on your family's preferences before moving in. Change your Address – In many instances, you may have some regular correspondence and subscriptions that are regularly delivered to your address. Changing the address to a new address as soon as you move can prevent the loss of vital subscriptions and correspondence. Get the Window Coverings – As soon as your paint job is done, you should get your draperies and window blind up. It improves your privacy and sense of exclusivity. Also, you really don’t want your neighbors peeping into all your home goings on. Track your Home Expenses-you should have a way of checking the expenses that occur in your home for accountability purposes. Enjoy your new home. Contact Hamid in case you need some assistance and consultation in buying a new home in Eastside, WA. 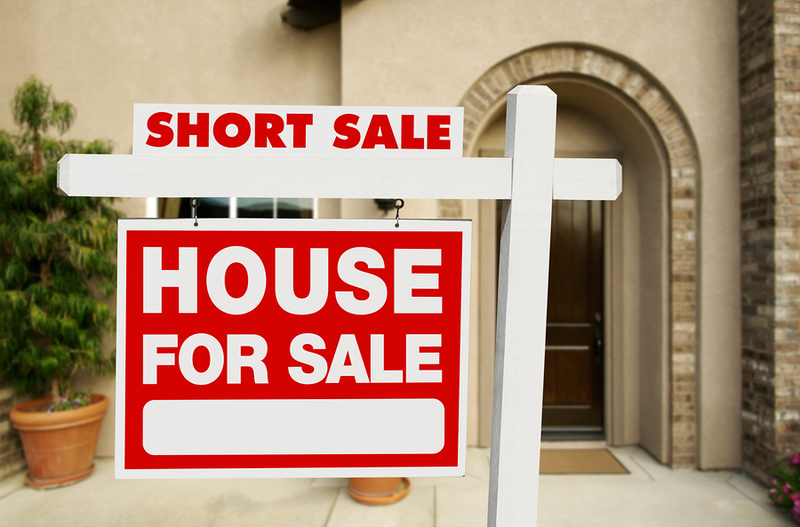 If you have been looking to buy a home recently, chances are you have heard the words "Short Sale" floating around quite a bit. In fact, in some markets, as many as 75% or so of homes on the market are advertised as "short sales". The truth is, that short sales, approved short sales, and the like are a bit of a complicated process, but hopefully today we can clear up some of that confusion for you. A short sale occurs when the value of the property is less than what the owner owes on the loan on the property, and the seller has a financial hardship that will make them unable to make up the difference between the sale price of the house and the mortgage balance. The thing about short sales is that the lender or lenders must agree to the sale. There are certain things to remember when trying to purchase a short sale home. Just because a home is listed as a short sale doesn't mean that it has been approved by the bank. Until the bank receives an offer from a prospective buyer, they will not begin the process of approving the short sale. Due to this fact, closing time on short sale homes can be a notoriously long wait. The short sale approval process has a ton of steps and can take forever. In a lot of cases, buyers will give up on a short sale home and move on to purchase something else just due to the long wait for approval. So, if you are thinking of buying a short sale home, make sure you have patience, and a good real estate agent. Sometimes the buyer sticks around until the short sale approval is issued, but then has to cancel for other reasons. Sometimes short sale homes come with a long list of stipulations, including need of repairs that the bank won't pay for, the buyer doesn't end up qualifying for the loan, etc.. Sometimes the bank will not accept the offer the buyer made on the house. On short sale homes, the bank might want to get reasonably close to market value out of the home. Now, this is where the term "Approved Short Sale" comes into play. In an approved short sale, everyone except the prospective buyer have completed their portions of the work. This is usually what happens when the previous buyer falls through. The good thing is, if you choose an APPROVED short sale home, you have a better chance of going straight to closing and contract, no 2-5 month waits that you are likely to experience with a regular short sale! The important thing to remember is that if you offer less than the approved price, the process will have to start all over again. So, it's only quick and easy if you are willing to pay the approved price. In short, remember that a short sale and an approved short sale are two VERY different things. By choosing a reputable real estate agent like Hamid Ali, you can navigate through the sometimes confusing home buying processes much more easily! If you are buying a home, you should get used to hearing the term Hud-1 Settlement Statement. You will be hearing a lot about it on your home buying journey and it can be a little bit confusing, to say the least. Today we are going to try to navigate through the Hud-1 Settlement Statement to try to help you understand a bit more about it. HUD is the government branch for Housing and Urban Development. The folks at HUD handle all housing, home ownership and development of property legislation in the USA. 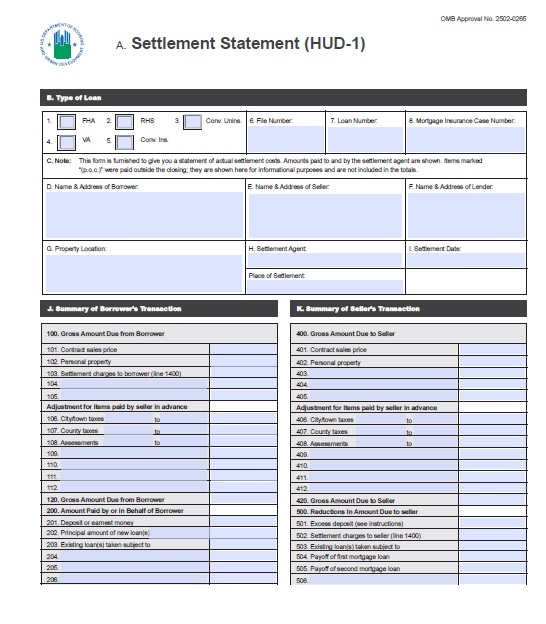 The HUD-1 Settlement Statement is a three page document that every home buyer receives when they borrow money to purchase a home or property. You may also hear the HUD-1 Settlement Statement referred to as simply the Hud-1,Settlement Statement, Closing Sheet, or Closing Statement. All of these terms refer to the same document. When you get the HUD-1 Statement, you should take pride in knowing it is one of the final steps before becoming a certified homeowner. The HUD-1 will be used by the closing agent as a way to itemize and explain all fees associated with your home loan. The point of the HUD-1 is to give both the buyer and the seller a detailed list of all of their incoming and outgoing funds. You must receive the HUD-1 at least one day before closing on your new home. You need to make very sure to review the documents carefully before closing, both on your own, and with your agent. You want to make sure that there are no errors, and that all the facts and figures on the Hud-1 match up to the figures you were provided with in your Good Faith Estimate. Make sure that you understand all of the figures completely before you sign off on it. There are three pages to the Hud-1 Settlement Statement. The first page is a two column list. The buyer's details will be listed on the left hand side, and the seller's details on the right hand side. The first page is basically summarizing all of the fees and credits that are being processed during the transaction. Each line on the document is numbered, like something you might have seen before on income tax forms. Some of the things you will find on the top of page one will be housekeeping information like the type of loan/loan ID number, all the personal contact information for the buyer and seller, etc. The next section will be numbered as the 100's which will detail the amounts due for the property, and a total that you owe for the purchase of the home. The next section is the 200's, which will detail the amount paid by the buyer or borrowed on behalf of the buyer, including any deposits and the principle amount of the loan. The 300's will detail the cash that is due from the buyer at closing. The 400's will detail the total amount due to the seller for the purchase of the home. The 500's will include any reductions such as closing costs, taxes, etc. The 600's will detail any cash at the settlement that is due to the seller or from the seller. That will conclude the first page of the HUD-1. The second page of the HUD-1 is also a two column list, this time a detailed run down of all of the fees and charges associated with the closing of the property. The 700's will be all of your broker fees, the 800's are any items payable in connection with your loan, such as appraisal fee, credit report fee, etc.. The 900's are items that the lender requires to be paid in advance, such as interest charges, homeowner's insurance fees, etc. The 1000's are the reserves that are deposited with the lender. These include all of the escrow payments, etc. The 1100's will detail any title charges, while the 1200's will be for the transfer charges and government recording charges. The 1300's are reserved for additional settlement charges, and finally the 1400's will be the total settlement charges. The third and final page of the HUD-1 is all about the Good Faith Estimate or GFE. The HUD charges will be listed right along side the GFE charges so it will be easy to spot anything that might be wrong, or any errors that you will need to take a look at. The very last section will detail all of the loan terms and a little more info about penalties. That will be the conclusion of your HUD-1 Settlement Statement. It may sound a bit confusing, but choosing a good real estate agent like Hamid Ali can help you navigate through the process much easier! If you are selling a property in Washington State, you will without a doubt be hearing about the Seller Disclosure Statement. This statement is also known as Form 17. Today we are going to explain Form 17 in a little more detail and help to try to clear up any questions that you might have about what exactly this form is. Form 17 is a mandatory, required form, that is mandated by the state of Washington. 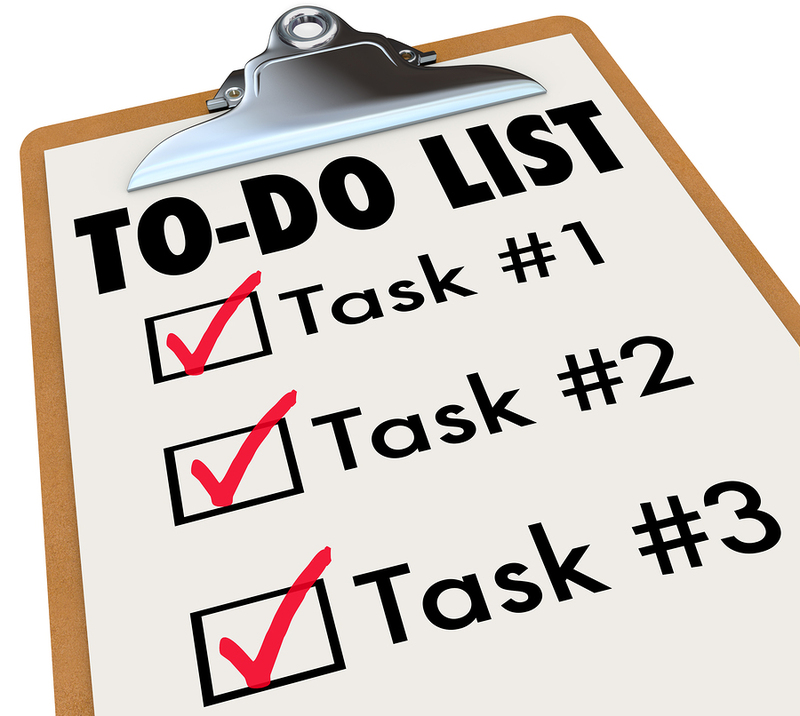 If you are selling a property, you will most likely have to fill one out. In short, Form 17 is a detailed questionnaire about a property, asking all sorts of questions about the condition and state of the property. The seller must answer questions about the conditions and history of the property to the best of their abilities. If you are selling a newly constructed home, a manufactured home, a mobile home, a residential dwelling of up to four units, or certain timeshares or condos, you will have to fill out Form 17. 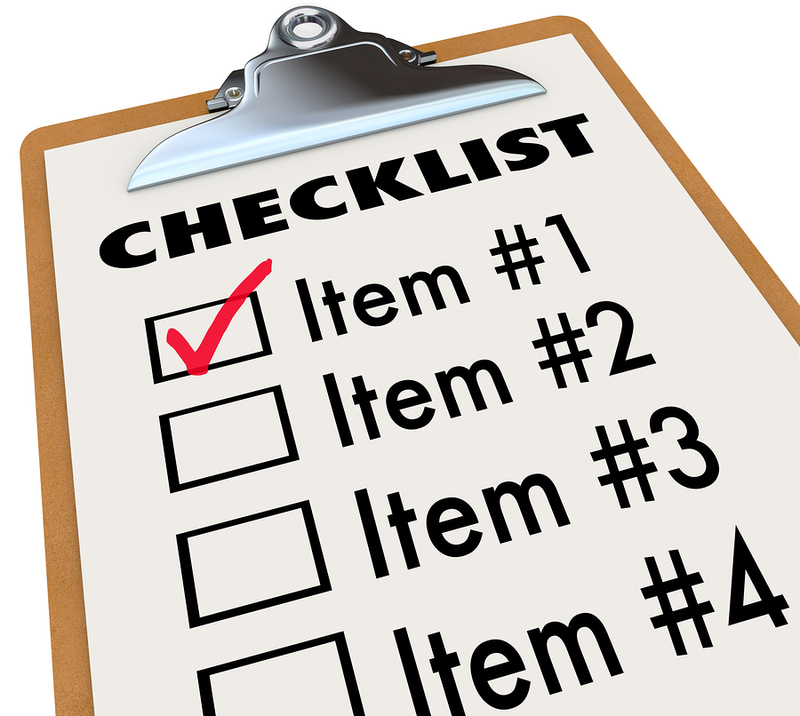 There are a few cases that are exceptions in which the seller will not have to fill out Form 17. A few of these exceptions include foreclosure properties, or deed-in-lieu of foreclosure properties, properties that are being transferred in a divorce settlement or being sold to a direct family member, or if you have owned the property you are buying in the last two years. The questions on Form 17 are pretty straight forward and to the point. The seller is asked a series of questions and the list is pretty short. The seller has only three options for answering questions. They can answer Yes, No, or I Don't Know. It is imperative that the seller answers the questions one hundred percent truthfully. If the seller answers with yes and the answer is anything short of 100% yes, the seller could be sued. Same with a no answer if the answer is anything else than 100% no. You will often find that the seller often goes with the "I Don't Know" option to avoid any potential problems with questions that they may not be for sure of the answer to. As previously stated, the questions on the form are pretty straightforward. The seller will be asked if they have legal authority to sell the property, and if if there are any boundary encroachments or disputes on the property. They will also be asked whether or not there is a private road, easement, or right of way limitations that may affect the property. The form also asks if there are any zoning violations or unusual restrictions that affect the property. The questions are all pretty much straightforward and easy to understand. The seller must sign the form and date it when it is complete and the buyer must do the same to acknowledge that they have received and read the form and are aware of the facts relating to the form. The Seller Disclosure Statement, also known as Form 17, is one of the more straightforward and easy to navigate documents in relation to home buying or selling. However, by choosing a trusted agent like Hamid Ali, you will be sure to cover all bases and have any questions that you might have answered right away! Earnest Money. You may have heard the term before, but perhaps you aren't sure what it actually means. Sometimes it is referred to as simply earnest, or as an earnest payment. Today we are going to tell you everything you need to know about earnest money. Earnest money is essentially a deposit made by a potential home buyer to show interest in the property and to impress the seller. It is meant to show good faith in a real estate transaction and to show the seller that the potential buyer is "earnestly" interested in purchasing the property. Earnest money is not a down payment, and should not be confused as such. 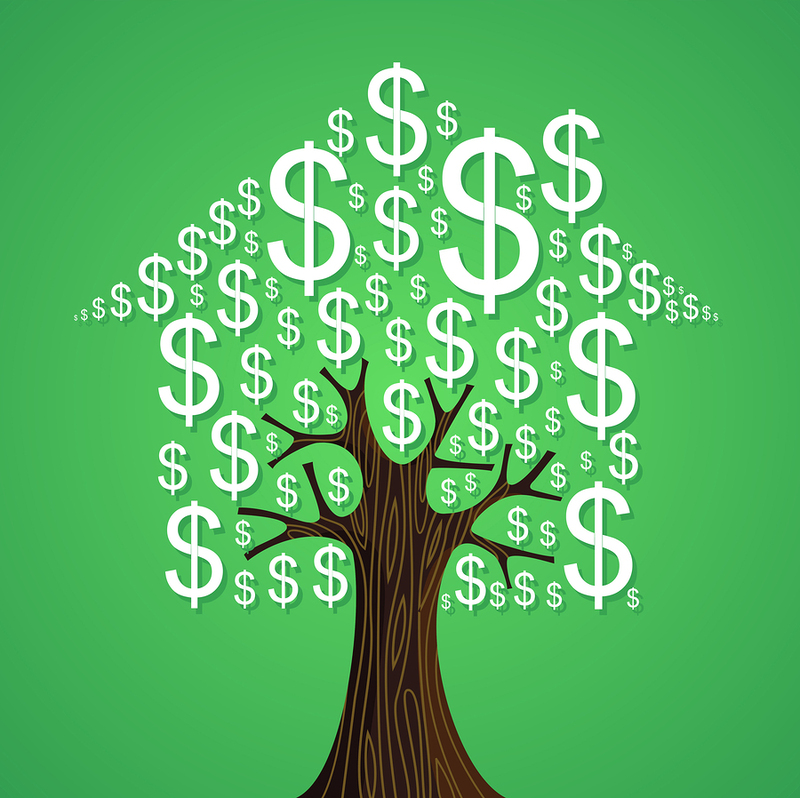 It is money paid in addition to a down payment, or a fraction of your down payment is a good way to look at it. How much earnest money is considered proper? Well, for starters, it should be much less than your entire down payment. If you go through with your home purchase, your earnest money will then be applied towards your down payment on your property. Think of it as another form of collateral, used to assure the buyer that you are really interested in their property and that you want for them to choose you as their buyer. The earnest payment will be presented at the time of signing your offer. The earnest payment will be held in escrow until the closing of the property, so it is neither person's "property" until closing. Earnest money amounts vary greatly from market to market. Your earnest money deposit should be negotiated between yourself and the seller. In the Washington market, the average earnest money deposit is between 3-5%, or $15,000-$20,000 on a $500,000 purchase. There are some markets where as little as $500 or $1000 is acceptable earnest money. There really is no set amount, but you want to make sure that it is enough for you to be taken seriously as a potential buyer. Remember also that if you back out the deal at the very last minute, the earnest money could go to the seller and not back to you.There are different laws and processes regarding this. If the cancellation of the deal is the buyer's fault, then the money will usually go back to the seller. If, though, the cancellation is the seller's fault, then the money is returned to the buyer. Usually the buyer and seller will come up with an agreement so that they can disperse the earnest money fairly if there is a problem. There is a kind of tightrope that you have to walk, a fine line between putting up not enough cash and putting up so much cash that it becomes an financial risk. Earnest money may be sort of a confusing concept, but if you are dealing with a trusted and experienced real estate agent such as Hamid Ali, you are in good hands, and you will have no problem settling on just the right amount. Your real estate agent can definitely help you come up with a good and acceptable earnest payment.